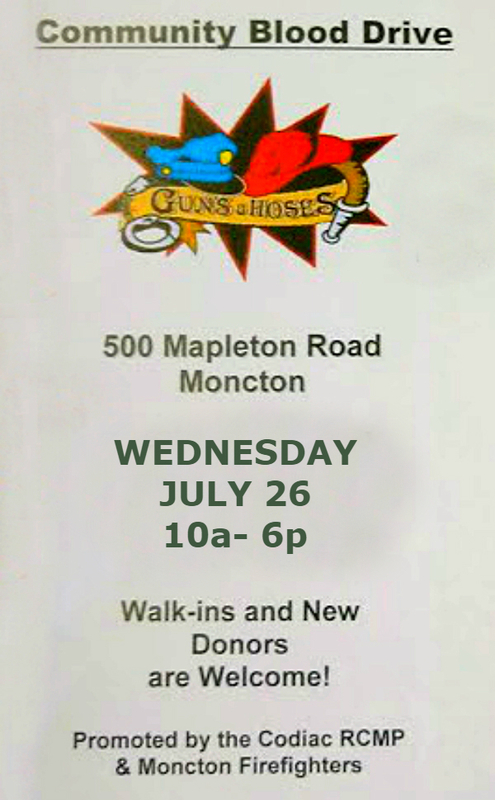 Please Donate Blood Today (Wednesday 26 July) 10a-6p at 500 Mapleton Rd! Walk-ins and New Folks Welcome! 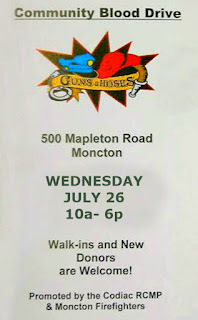 Thanks to Codiac RCMP and Moncton Firefighters!